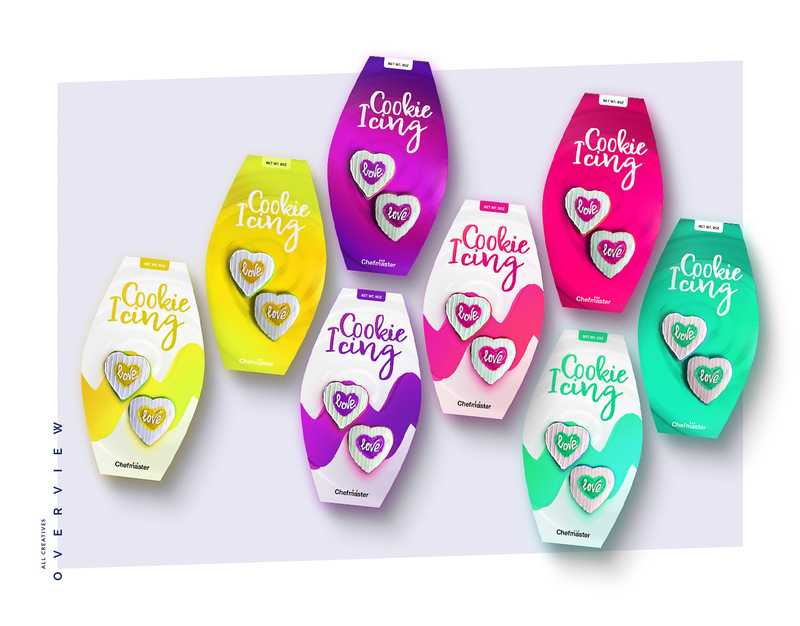 Creative food packing design for icing coockies. 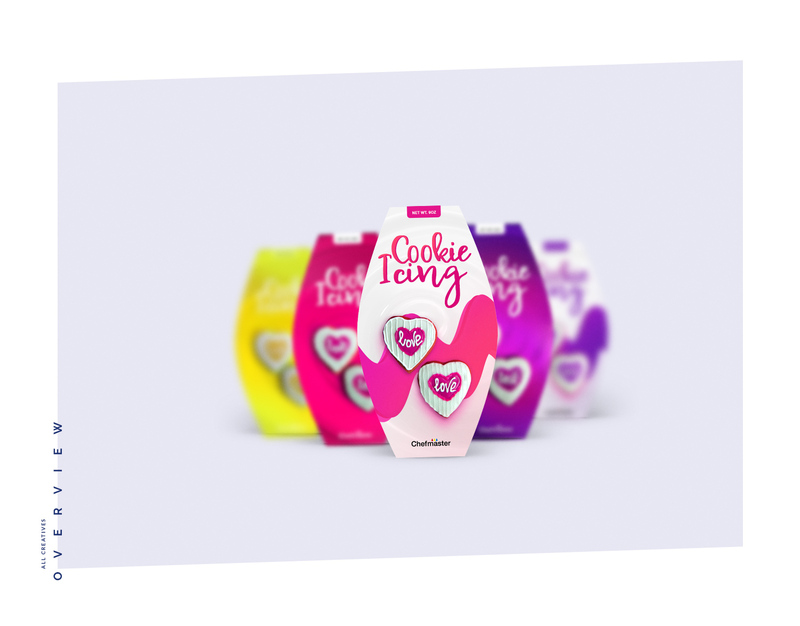 Beautiful and engaging packing design that will drive your customers more excited to buy your brand. Different color shades based on flavour and color of the icing.